This article was written for and published in the Kansas Recreation & Park Association’s magazine KRPA Today, fall 2017 issue. An ancient Greek philosopher once said, “The only constant is change.” While Heraclitus (born circa 500 BC) certainly wasn’t speaking of our modern lives and workplace squabbles, he definitely landed on one of life’s big truths. Some people are wired for change; other people cling to what they are used to and resist change. Nevertheless, change will always come. 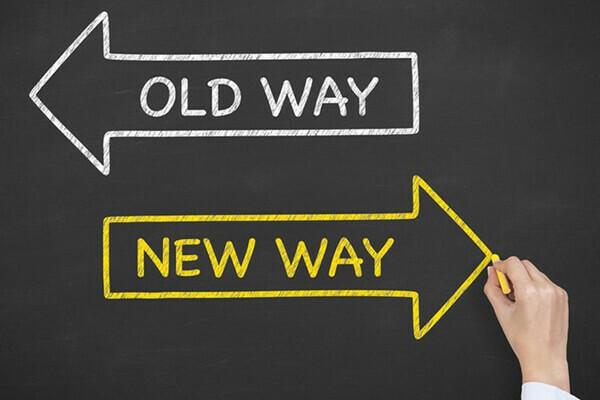 While change can certainly be difficult, most of the time planned changed results in the opportunity for improvement. It may expand our ability to communicate and receive input from others. Change may refresh and wake up your senses while renewing your enthusiasm for a project. Doing things the same way without evaluation or feedback creates stagnate thinking and stagnate thinking will never produce better results. Once we get over the shock of change, we can try to understand it by looking for the reason why. No matter the reason or type of change, the most important reaction is to BREATH. Then share appropriate information early and often. Sharing information frequently minimizes the gossip mill and provides accurate information while giving your team many opportunities to mentally prepare themselves. Great leaders demonstrate adaptability to change and the willingness to help their staff through the discomfort. Consider the following story about ham. At Christmas time a wife sent her husband to the store for a ham. After he brought it home, she asked him why he didn’t have the butcher cut off the end of the ham. The husband asked his wife why she wanted the end cut off. She replied that her mother always did it that way and that was reason enough for her. Since the wife’s mother was visiting, they asked her why she always cut off the end of the ham. Mother replied, that is the way my mother did it. So, they decided to call grandmother and solve this three-generation ham mystery. Grandmother promptly replied that she cut the end of the ham because her roaster was too small to cook it in one piece. Wow! What a good story to remind us to not get too comfortable with the status quo. It is beneficial to take a step back and ask “Why?” sometimes, even if the system isn’t broken. It is best to identify new tools, resources and methods to process and extract data and find more efficient ways to enhance the system. Recognize that it is coming and often not where you expect it. Take a deep breath and identify a time to evaluate the change. This time can be used to identify coping mechanisms in response to the unexpected change or to review both positive and negative impacts on your team, job or regular routine. Communicate early and communicate often! Do you feel as if you’re over-communicating? Good! In the absence of information, staff can become scared or make up rumors. You won’t want to have to overcome either of these. Change can be overwhelming, but it can also challenge us to become better than we are today. Find nuggets of positivity to focus on. Invite feedback from as many as possible. Sometimes ‘change’ isn’t really the problem. It’s that we didn’t think through enough scenarios first or we didn’t ask the people the change would impact the most. Often times your team will have great ideas. Include as many as possible in the planning stages of change. Negative change? What should you do if the change is negative? Do NOT try to spin it as ‘positive.’ The most important thing is to be honest and transparent. While your department may not like the message, it is important to treat people with respect by sharing appropriate details. Give choices if possible. Change can be difficult, but providing choices gives a measure of control to the individual. Review your plan for opportunities to let people choose option A vs. option B. Are you adaptable to change or are you resistant? Many of us handle change poorly and blame our poor attitudes on decisions beyond our control. It’s true that some change is made without our input or approval, but each of us is responsible for controlling our attitude and actions. “This is what management wants. Don’t ask me why.” Blaming someone else and ignoring the reasons behind the change isn’t helpful or contributing to a healthy team. Typically changes are made to improve matters overall. Even if change is difficult, it’s easier with everyone on board. “I could have come up with a better plan.” Really?! Then why didn’t you suggest something earlier? “What a dumb idea. This will never work.” Resisting the change makes for a poor team player. Get onboard and do what you can. Find a positive and commit to being someone who helps the team. “But we’ve always done it this way.” Oh, the best is when change is introduced and staff continue to do it the old way. They might ignore the change because it is easier, but what they are really saying is they are resistant to learning the new way. Take time with the staff to teach, coach and guide the change. Bottom line: change can be positive or negative; it is all how you embrace it. Find the silver lining and commit yourself being a flexible leader who can adapt quickly. Need help wrapping your team around change? Call Scott HR to strategize a plan at 785-272-5410!